‘It’s not just about the Weinsteins’: how do we fix the gender problem in Australian film? fem4admin39 December 10, 2017 December 10, 2017 No Comments on ‘It’s not just about the Weinsteins’: how do we fix the gender problem in Australian film? The fight against gender disparity, which has underpinned the status quo for decades, has shifted from the margins to the mainstream in five short years – and now it’s driving policy. Several powerful industry figures have helped lead this change. Producer Sue Maslin, financing the Dressmaker in 2012, refused to give up when told the film’s audience was “limited because it was heavily skewed to females.” It became the highest grossing Australian film of 2015/16, earning $20.28 million at the box office and proving “once and for all there was a business case to be made for a film by and about women, targeted to a female audience,” Maslin told Guardian Australia. Actor Cate Blanchett, accepting the 2014 Oscar for Blue Jasmine, reminded Hollywood that films with female protagonists “make money”. Her comment briefly ruffled the Twitter-verse, before the Geena Davis Institute backed it with proof: of the 100 top-grossing non-animation movies of 2015, those with female leads made 15.8% more money than those with male leads – despite comprising only 17% of the list. In her first day on the job in 2015, Screen NSW CEO Courtney Gibson introduced the “50:50 by 2020” target across the agency’s development and production arms. 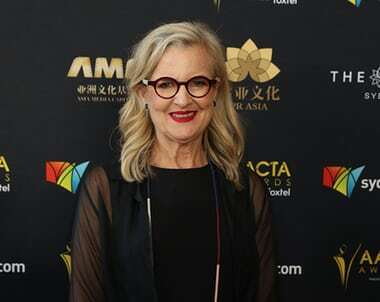 According to Create NSW, the policy has since put 150 female filmmakers in contact with previously unreachable distributors, and seen female TV drama directors rise from 18% to 47% in two years.